By taking great care in our breeding programme and testing our breeding dogs for hereditary diseases. By providing a rich life for our dogs and including them in our family life. By creating opportunities to socialize our gorgeous puppies. Labradoodleland Auckland has developed as a natural progression from my career in Veterinary Nursing where I had the opportunity to care for a variety of companion animals whilst working in animal medical and emergency practices as well as birds and larger, wild animals in a zoo. As a veterinary nurse, I cared for many pets suffering from diseases that could have been avoided with the use of available screening tests. It is vitally important that breeders like ourselves test the health of our breeding dogs, prior to breeding, as this reduces the possibility of hereditary diseases being transferred to the gorgeous puppies you choose. We are based in the Waitakere’s in West Auckland where our dogs enjoy a rich life, play, fun, walks in the bush and runs on the beach as well as masses of individual attention and plenty of cuddles. They are all allowed inside to be involved in the busyness of family life where they are often seen curled up at our feet or snuggled up on a lap! Our puppies are born in our home surrounded by a normal family environment. They are held and cuddled, played with and even take a trip in the car to have plenty of different experiences. Puppies are always learning so we use the time they are with us to introduce them to a variety of sounds, other people, children and our own family pets as this helps to develop their confidence and reduces behavioural problems later in life. When they are old enough they venture out to the ‘puppy playground’, where they enjoy more room to play with their littermates and here they start the process of toilet training. At all times we have procedures in place to protect our puppies and to limit any exposure to infectious diseases. Dogs have always been high in my affections and I became interested in the different breeds and their unique temperaments while I was working as a vet nurse. I took further study in Dog Behaviour and volunteered at the SPCA where I learnt to understand dogs, how they communicate and learn and I used my knowledge to assist owners with problem solving and other effective ways to train and communicate with their much loved pets. This is where my wonderful relationship with the Labradoodle breed began. These very attractive and intelligent dogs were fun loving and a joy to work with, easy to train and great company. I liked the low to no shedding coats which offered benefits for people with asthma and allergies (plus the bonus of less vacuuming!). It is a huge privilege to be involved in this business and we are grateful to Cheryl Bollen who previously owned Labradoodleland in Whangarei, for offering a few of her bloodlines which are now embedded into our programme. 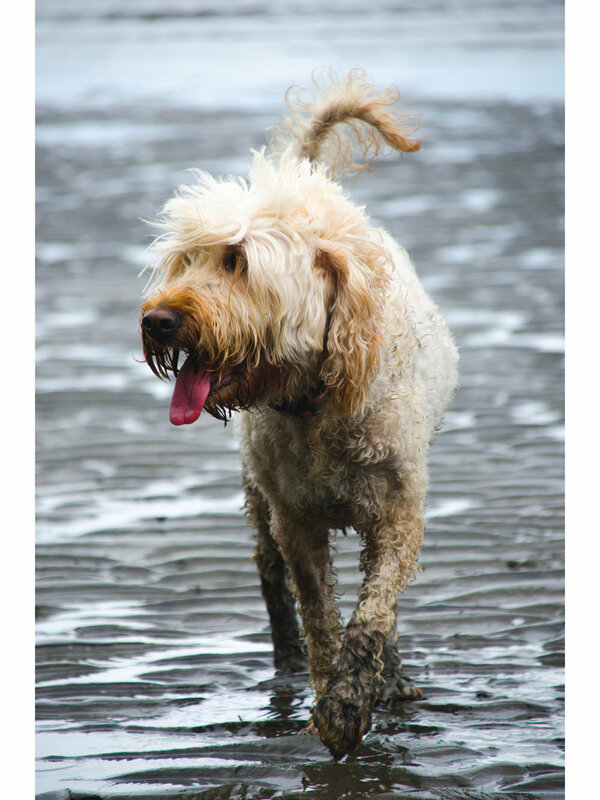 At Labradoodleland Auckland we are in the early stages of our breeding programme and in the future we look forward to growing our dog family. Great fun! We are very happy to answer any questions you may have, feel free to contact us.